With the increasing swirl of interest around mindfulness, resilience and innovation we can’t forget that there are many who have trodden this path before us with important lessons we can borrow. 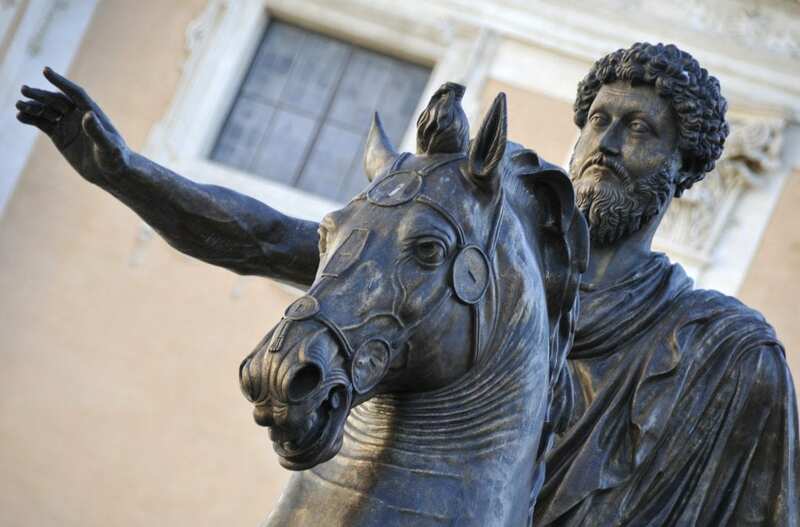 Stoicism is the branch of ancient western philosophy that focuses on mindfulness, resilience, creativity and more, all of which allows us to flourish and live the good life, achieving eudemonia (translated from Greek as happiness, or human flourishing). The principles have had a profound influence on Western thought, and compared to other schools of philosophy often consumed by intellectual enterprise and endless debate it’s bracingly practical and straightforward. Whilst stoicism hasn’t been popular for a while it’s making a comeback with a strong international following. Whilst it’s seen by some as a western form of Buddhism, helping to overcome destructive emotions, it actually originated in the Greco-Roman Empire. It had three principle leaders: Marcus Aurelius, who wrote daily about restraint, compassion and humility; Epictetus who overcame the horrors of slavery to go on to found his own School; and Seneca, who, facing a demand for his suicide from his emperor Nero, thought only of comforting his wife and friends. And at its core are three simple lessons. How unpredictable the world is and how brief life is. How to be steadfast, strong, and in control of yourself. That dissatisfaction comes from impulsive reflexes rather than logic. Amongst current leaders President Barack Obama is often seen to demonstrate qualities of stoicism through his calm and collected demeanor, which some say echoes the political style of well-known stoic, Cato the Younger. Stoicism transforms negative emotions into a sense of perspective and prepares you to have the right state of mind. At its heart it’s about controlling things which are in your power to control and ditching the rest. It requires being mindful, awareness and control, rather than being lost to emotion and random thought processes. Stoic exercises such as “practicing” misfortune and poverty help teach us that the worst case scenario is not in fact, the worst. And it’s great for business. Stoic principles can build the resilience and state of mind required to rebound from knockbacks, so important in our new world of innovation and entrepreneurship. Stoics practice turning obstacles into opportunity. If you want to build creativity into your business use the exercise “turning the obstacle upside down”, every “bad” becomes a new opportunity. In the modern world stoicism seems a perfect fit for leadership lessons… It has at its core, character. Before we try to control events, we have to control ourselves. Self-Control is the only thing that can succeed 100% of the time. It’s important to have role models but emulation can turn into imitation, and all you produce is a second-rate product. Stoicism means embracing your quirks and leveraging your uniqueness. A stoic knows exactly what they want from their day and has clear goals. Writing daily goals creates a psychological pre-commitment and self-expectation that increases the likelihood of achievement. It’s not all glass half full. Science is proving what the Stoics knew for centuries. Harvard psychologist Shawn Achor showed in research that professionals who took part in a gratitude practice at the start of their day performed at a much better level than those who didn’t, achieved through dopamine release which increases overall performance and happiness levels. In 1965, James Stockdale was shot down over Vietnam. While falling he whispered to myself: “At least, I’m leaving the world of technology and entering the world of Epictetus”. He spent over seven years in a Vietnamese prison, and wrote that Stoicism saved his life. Nancy Sherman, who taught philosophy at the Naval Academy, argued that Stoicism is a driving force behind the military mind-set in its emphasis on endurance, self-control, and inner strength. As an entrepreneur being able to practice misfortune makes you stronger in the face of adversity; flipping obstacles upside down turns problems into opportunities; and remembering how small you are keeps your ego manageable and in perspective. It was perhaps the first Western philosophy to preach universal brotherhood. Epictetus stated that each of us is a citizen of our own land, but “also a member of the great city of gods and men”. Marcus Aurelius reminded himself daily to love the world as much as he loved his native city. We can be glad that there is a renaissance around Stoicism as we all rush to meet the charge on creating a more innovative world and as we search for a better life. Stoicism gives us a system that we can draw upon and take relief from what practitioners have called a “personal operating system for high-pressure environment”. I hope many more discover the magic of this school of philosophy and understand how powerful and helpful it can be both in life and business, but in the interim we can’t end an article on stoicism without quoting one of the great stoics as a lesson.